Holy crud, people, it finally happened. Two characters in In This Our Life had a real conversation—a talk in which they did not say everything a novelist could wittily think up for them to say given all the time in the world, a talk in which their moments of candor are really vulnerable and even unexpected, a talk that does not simply reveal the next nine plot twists without either of the characters figuring them out. It comes almost 250 pages into a novel that is a little under 500 in total, so it’s much too late in the game to salvage the book’s reputation with me entirely. But it’s a start. Here’s what’s up—Roy (whose husband, Peter, has left her) and Craig (the man who was engaged to Roy’s sister, Stanley, until Stanley left him in the lurch to run off with Peter) have been seeing more of each other, and this point in the book is the first time we’ve gone off and actually followed them into the world. They’re an odd pair in some ways—Roy is ridiculously sensible, to a fault, really, a hard-headed gal who buries her emotions and who initially finds Craig a bit frivolous. Craig, on the other hand, is a passionate idealist, the sort of fellow who attends lecture series and political rallies and talks about fighting the capitalist plutocrats. They initially share nothing other than their status as survivors, crawling away from the blast zone that was Roy’s marriage and Craig’s near-marriage. But they’re coming to love each other in a fragile, fractious way that feels really honest, and their conversation reveals it—Craig singing out some idealism about how the two of them could have a real marriage that they could both rely on (one of his remarks is this post’s title), and Roy smacking him down out of an intriguing mixture of practicality and fear of her own feelings. They stop on their drive and have a talk with a simple fellow who farms out in the sticks, and runs a filling station on the highway to make a little cash for seed-money. Roy remarks on Craig’s easy ability to relate to working men, and reflects inwardly about what it reveals about Craig (and how it contrasts with other aspects of his personality). Ultimately their conversation doesn’t really resolve their underlying tensions—some promises are made, but not really binding ones, and both of them aren’t playing all their cards just yet. Where the heck was this author for the last 248 pages? What’s maybe most strange is that her early dialogue is full of over-shares and characters being much too forthcoming, in ways no person ever really is even with their closest loved ones, but now that Roy and Craig really have developed an intimate relationship (intimate emotionally—not physically, not yet at least), we finally get a dialogue where people are holding back and behaving cautiously. There’s not much else to say right now—the other subplots are either terrible (in the name of all that is holy, will Asa just leave his terrible wife and go be with his friend’s widow who actually treats him like a human being? those wheels have been spinning for hundreds of pages without getting ANYWHERE) or almost forgotten (the poor young black man, Parry Clay, is finally re-emerging thanks to a commitment Craig is making towards Parry’s education, but I swear we’ve seen the kid for maybe 2 pages of the last 180). There isn’t really a novel here worth reading. But I at last know, at least, that Ellen Glasgow did have the talent available to her to write something decent, which reduces a little of my ire at the selection of this novel. Depending on how much more of that she can bring to the surface, this book may climb out of the most wretched depths of my ranking of the Pulitzer winners. Grapes of Wrath this ain’t, though, and frankly it would take a lot of work for it to rise even to the level of Arrowsmith. Onward and (hopefully) upward. “Stop all the clocks, cut off the telephone. Auden’s mourning here is a little strange for me, emotionally—honestly, one reason I didn’t deal with this poem back when PF was in 1938 is that I’m not as profoundly touched by it as I know a lot of other people are. It was much more resonant for me in the context of the film (and the relationship those characters had) than it does here, where it feels just a little disembodied on the page. Let’s take one of the moments that for me works both beautifully and weirdly—the opening salvo against the mundane, against the notion that there can be life and normality in a world where this man is gone. This is great conceptually, but personally I find the “juicy bone” very distracting, the sort of detail that would come up in a comic strip or a children’s book, but jarringly out of place here. Is that Auden’s purpose, or a slip? It’s hard for me to tell. Certainly what surrounds it is genius…the stopped clocks, the muffles on the drums, the imperiousness of grief in the command that the mourners come forth. There’s a distance there—the speaker, who is clearly almost paralyzed by grief, is separated from “the mourners” as though he doesn’t want to admit the fact, as though he will not be taking his place beside them. I like that element: it feels honest to me. The second stanza wobbles most for me—I understand how absurdity can surface in a poem about grief (see my take on Federico Garcia Lorca’s ballad, which is full of this), but to me the absurdity is too measured, too restrained. Lorca lets fly: the grief twists the whole world and everything explodes and distorts like a Dali painting, and the absurdity of the imagery is a reflection of the brokenness of the world. Auden, here, by contrast, is too tame for me—the image of the circling aeroplanes feels juvenile, adolescent in its melodrama without signifying much. The crepe bows are almost comical….totally wrong in tone, if you ask me. The gloved policemen are hardly better. Is he mocking grief? I might draw that conclusion, but then he snaps back into almost prime Auden form, since the beloved as compass, as center of gravity, is totally believable. The simple cadence, the repetition, feels sobbed out, and the terrifying thud of the last line—“I thought that love would last forever, I was wrong.”—is overwhelming to me. In a few relatively simple phrases, suddenly it does feel like being inside someone who is collapsing on themselves, a person for whom grief is the straw that breaks. I don’t have to know anything about the dead man to know what he meant. And the fourth stanza works for me, despite its melodrama, because I can feel these images playing out in the darkness at the heart of this shattered human being: deep inside, where sorrow has driven them, the light cannot find them, and stone and wood, earth and water, are meaningless to them now. The structure of the poem, weirdly, conveys the disastrous damage done to the structure of the speaker’s inner life. So, here I am, the Auden fan who’s just fired a couple of shots into one of his most well-loved poems. I wonder if I’m a bit too hard on the poem, or whether other people see what I do. Given that a number of us have probably encountered the poem (either in the movie, or at a memorial service—since the film was released, this had a surge of popularity as a reading for such things), I’m hoping a few of you will speak up and say how the poem strikes you. If I’ve missed out on the beauty of this work, and the way in which the whole thing really does work together, nothing would make me happier than having one of you help me see it. My appreciation for the poem has grown over the years, aided by a recording I’ve heard of Cummings reading it aloud in a very expressive and high-pitched voice, trembling just a little—the closest comparison I can make for the sound is the voice actor who played Winnie-the-Pooh in the Disney animated featurettes of the 1960s and 1970s. The innocence and the optimism suddenly came through the poem in a way that it doesn’t quite on the page (for me). But what is the poem really about? Love isn’t a bad initial answer—Cummings slowly develops the story of anyone and no one, a simple man and the woman who loved him. His choice of names, which is of course a distinctively him thing to do, allows him to get a lot of resonance out of very simple lines: take, for one example, the difference between “one day John died, I guess (and Mary stooped to kiss his face)” and “one day anyone died i guess (and no one stooped to kiss his face)”. There’s something incredibly emotional and moving about the image he presents—my brain yaws wildly from the sadness of the initial meaning (no one mourns him?) to the sudden heart-breaking gladness of the real image (it’s her! No one mourns him!). There is a fragile beauty to their love, like a delicate flower or a butterfly emerging from a cocoon: the way it grows “bird by snow and stir by still”, the way their wedding vows and honeymoon rush by us as “they said their nevers and slept their dream”. Even the deep hope of their graves is powerfully connected to their love for each other, where they now “dream their sleep” in these fantastic phrases—“earth by april”, “wish by spirit” and “if by yes”. What does that mean? I know I understand, but I cannot shape that understanding into words. There is a resurrection inside those phrases, of a form and purpose that not even Cummings, I reckon, fully realizes or could possibly describe. Time is a good answer also, the way Cummings turns again and again the seasons “spring summer autumn winter” and the weather “sun moon stars rain” to give us a story unfolding on a large canvas (yet an intimate one). His decisions at times to shift the phrasing are surely significant, but what do they mean? When he says “stars rain sun moon” right after anyone and no one marry, and before he asides to us his marveling that the children are apt to “forget to remember”, what do we make of that? Something about the poem wants to get its arms around time, but what? And much of the poem is left to us to ponder—what does it mean to live in a “how town”? Who are these children, and do they serve any purpose in the poem other than acting as a kind of Greek chorus? What are these bells, these floating bells? I can’t answer it all for myself, let alone for you. What I do know is that this poem, which once baffled me and even alienated me a little, is now a source of hope. There is something undying about it, something resilient and human, especially in the lines “little by little and was by was / all by all and deep by deep / and more by more” that lead to his contemplation of the dreaming sleep of the dead. Cummings is easy to caricature or parody, but difficult to pin down—the man was wise, and I hope there’s some wisdom locked in this poem for you to unearth this weekend. Eliot’s fascination in the quartets with a few powerful images—time, love, the idea of home, etc.—continues here, and I love the phrases he turns. In “Burnt Norton” he opens by inviting us into a garden of metaphor, into “our first world”, and here he seems to clarify what he’s interested in: for me, at least, the notion of home being “where we start from” identifies a little more clearly what he means by “our first world”. Eliot likes to surprise, and I find it surprising (but also intriguing and maybe true) that as we age, the world grows, not more familiar, but more strange. Time starts to burst open again here, as it did in “Burnt Norton”—each moment contains, not merely a moment, but a lifetime. And not merely a lifetime, but an age of the Earth, something that happens on the scale of geology (the “old rocks”). And then suddenly the poem is homely again; we are pulled from that kind of epic abstraction back to an evening with lamps on side tables and photo albums open in our laps. What is he doing to us? What is he doing to time and place? I am confused but not letting go. He shifts then to one of his other great themes—Love—and says something I feel sure is true: that love is (at least in some ways) most itself when we are detached from the here and now. 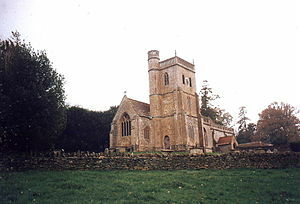 “East Coker” plays with love in many senses . . . in another famous passage from earlier in the quartet, he tells his soul to be still and “wait without love, for love would be love of the wrong thing.” I don’t know what that means, other than that in all of these phrases I get the sense that the way to gain love is to lose it; the way to find it is to give up the chase. Eliot tells us at one point that we “must go by the way of dispossession . . . what you own is what you do not own.” There’s something powerful and real locked up in there, and I don’t know how much of it I can give words to, even though I feel I understand him. The last portion of “East Coker” is reminiscent for me of another famous English poem—Alfred, Lord Tennyson‘s “Ulysses”—where old men decide to explore on, and “smite the sounding furrows”. I think that’s intentional, but unlike Tennyson’s Greek hero, Eliot isn’t restless and purposeless in this desire for adventure. He’s not taking to the seas again to escape the “still hearth” and “barren crags”, like Ulysses—instead, he wants a deeper communion. With whom? With what? We are not yet told. Only we are told that he must pass (and we must pass, if we continue on with him) “through the dark cold and the empty desolation,” through, in that most evocative of phrases, “the vast waters of the petrel and the porpoise.” What waters are these? The waters over which the Ruach brooded in Genesis, the formless and the void? The waters at the edge of old maps, ribboned with sea serpents, pouring endlessly over all sides of the world? He is imbuing this journey, and this sea, with something symbolic, but I’ll confess I can’t settle on a specific image. I only know that it moves me. There’s a lot more to “East Coker” that I can’t get into—there’s an enormously important series of allusions to Dante (Eliot describes himself as being “in the middle way”, and there are direct references to purgatory, etc. ), for example—because it’s too big, and because I want you to read it. Even the last line (“In my end is my beginning.”), which I want badly to try and unpack, is too much for the scope of a blog post. Eliot is tying up all of “East Coker”, which begins with the line “In my beginning is my end,” and which plays more than once with the notion of ends and beginnings. Eliot’s engaged in something really valuable. We’ll be back with him and the last two quartets before long—probably before 2012 is out. In the meantime, I hope you’ll ponder his words, and share your thoughts in the comments below. golden; the stars of the Swan and that other star, Aldebaran. no fire on their peaks; it’s getting dark. an alien voice around the frozen lake. bent as she walks giving her child the breast. hands outstretched to beg, nor the roads. like the memory of your voice saying ‘happiness’. who walks blindly across the snows of silence. living trees and your eyes riveted. the road has no relief; I’ve kept a rein on my life. and the water frozen in the hoofmarks of the horses. Seferis’s poem is image-laden to the point of being almost overloaded—a cornucopia of vivid moments, generally connected with the natural environment, that all seem to circle around an unnamed person and the feeling that he has “kept a rein on his life”. But what does all this signify? I’m fascinated by the poem because I feel tantalized by it…always on the verge of understanding it but never quite getting there. For a while I was convinced that this was an expression of his closeted affection for a man—his hiding these feelings being the “rein” he’s kept on his life, but the effusion of lush imagery being an expression of this passion felt for the other person alluded to at times. Except that I went searching for information about Seferis this week, and I didn’t turn up anything in the usual biographies that indicates any known gay or bisexual relationships with men. Maybe I missed something, but it kind of looks like it’s back to the drawing board. I really like the opening stanza because its structure suggests that it is a key—a list of images presented simply, with no analysis or explanation of their connections. What do these things have to do with each other? Simply a passionate night spent in that “closed bed”? But the emphasis is all on the world outside and not the humans present—the sea aflower and the stone by the fig trees, the pairing of the Northern Cross (Cygnus, the Swan) and the giant red star Aldebaran, the eye of Taurus, the Bull. It is a slightly weird world—I’m not sure how easy it would be to see both Cygnus and Aldebaran at the same time (they’re a good ways apart), and honestly I don’t know that Cygnus is ever visible in Greece in January. But maybe I’m overthinking that kind of detail….if they weren’t actually there, though, it makes me wonder what the symbolism is of using those two celestial objects. I like the sense of “about to happen” that pervades the poem, the feeling that whatever reins have been kept on life thus far, the steed is about to be given his head to gallop. And there are some gorgeous lines—“under the ice the sea’s smile” is a doozy, and “that man / who walks blindly across the snows of silence”. Shoot, half the poem is that beautiful. So what is it about this snow and ice, other than being the surroundings Seferis would have seen on January 6, 1937—what does it represent in connection to that missing someone, who murmurs “happiness” in memories, whose scarred knee and golden hair haunt the poet? Why does the poem end so starkly, not with the beloved and missed, but with the snow and the (ominous?) hoofmarks full of ice? Why is the poet so isolated—beggars do not beg him any longer, faces do not question? Who is on the road without relief—the poet on his journey, or the missing someone on theirs? Or both? I am bewitched by the poem, and think I need to read some more Seferis. For now, I am hesitant to commit to a reading of the poem. 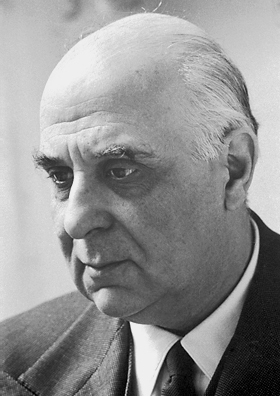 The one reading I have not yet suggested is that it is a farewell, that the rein on his life has been Seferis waiting for this missing someone, and that he is turning away and riding off now. It feels as though the poet’s summer of his great content has been made desolate winter, and that in some ways he has made peace with that change. I do not detect that another season is necessarily imminent—the changes seem to be inside him, and not pregnant in the world around him. But maybe I’m missing something in the flurries of imagery. I do love to read it, though, and I hope you did too. If anybody thinks I’m misreading this one (or overthinking it), speak up, will you? In this sonnet, Auden takes advantage of the form by executing the “turn” at the ninth line beautifully—the octet establishes the “important” figure, only to have the sestet undercut that importance by acknowledging the person who is simultaneously unremarkable and vitally central to both the poem and the “important” man. This isn’t the kind of poetry that really elevates me out of my chair, whooping at the beauty of it or kicking myself for never having conceived of such a brilliantly obvious idea. It’s like the compulsory program in figure-skating—the goal is not to surprise the judges, but rather to show them how flawlessly a double axel can be executed by someone in whose DNA the axel has been helixing since birth. Auden, still a young poet (in his mid-20s, or thereabouts), shapes an almost ideal sonnet, and totally independent of any of its content, I think it’s really beautiful for that reason. It’s like looking at a painting and realizing how exactly the painter has captured the color of the sky at dusk—the rest of the painting may be emotionally powerful or fairly cliche, but the perfection of that one color might be enough to take you through the day. To turn, though, to the content of the poem, I’m struck by what Auden does and doesn’t say. 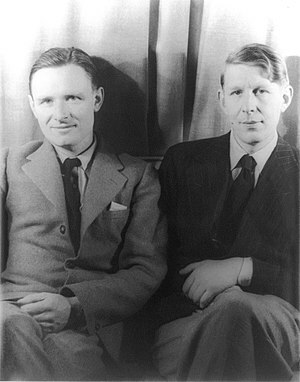 We are given two characters—the first, a man of importance, and the second, a person (whose gender is not specified—important to note since Auden was gay, and increasingly openly so in the 1930s) of no particular importance. The sonnet’s structure and our fairy tale notions may lead us to a very simple conclusion about the poem: “Ah,” we say, “Auden’s pointing out that the people we think are important usually aren’t. It’s the simple folk who count.” But is the poem all that clear on the point? The public figure has achieved real things—he has survived a violent childhood, struggled to make his impact on the world, done things of note (generally feats involving some kind of courage or adventure), and remained human and reachable despite it all. The private figure is a person of no real talent: he or she can manage basic household tasks, whistles, and is apparently content in the most simple of circumstances. When this private individual receives “long marvellous letters” from the famous man, on occasion an answer will be penned, but the letters are little thought of. None survive the dustbin. Who are we really being asked to sympathize with? I wonder. I wonder in part because Auden by the mid-1930s is becoming a figure of some note—a political poet whose left-wing idealism is drawing a lot of young people to his art. By the mid-1930s, he’s starting to become disenchanted with all of this. Is he in this poem? If so, I think he must be the famous man in the octet, lamenting the distance that separates him from the private fellow who won’t answer many of his letters, who doesn’t understand how much he means to Auden. But I’m not sure of this interpretation at all—the sonnet is so formal, so carefully structured that I’d be a little surprised if it was a welling-up of some private pain of Auden’s. Art can mask pain, of course, but I’d like to think I could feel it just a bit more than I do, if it really is there. But what are we left with, as a response to the poem? I may be jumping too far, by expecting that I’m asked to take a side—to see one or the other of these figures as in the right and therefore admirable (or at least pitiable). I wonder, though, if Auden really intends us to sympathize with the private person in the sestet. The language there, to me, suggests a person so withdrawn from the world that their lot is not really enviable. And I can’t help but feel that there is something significant in the twin details of only responding to some letters, and keeping none—not just that the love is not reciprocated, but that somehow there’s something emotionally stunted about the quieter half of this star-crossed pair. To respond to the poem’s eventual title, Who is Who, really, in this poem? Does even Auden know the answer? He takes a somewhat obvious jab at the “astonished critics”, but can this really just be a poem about the fact that “some people might not believe it, but famous people don’t always find true love”? I kind of doubt it. Anyway, I may be reading this entirely wrong, and I’m hopeful some of you will chip in with your own thoughts or reactions to the piece.